"The point at the summit of Oravivuori, originally called Puolakka, was measured on 1834 and marked in the rock with a drill. Since the measurements for the Struve Geodetic Arc, Oravivuori has been one of Finland's geodetic station points. The Finnish Geodetic Institute set up a first-class triangulation point at the same place in 1930, just 43 centimeters from the point measured by Struve." 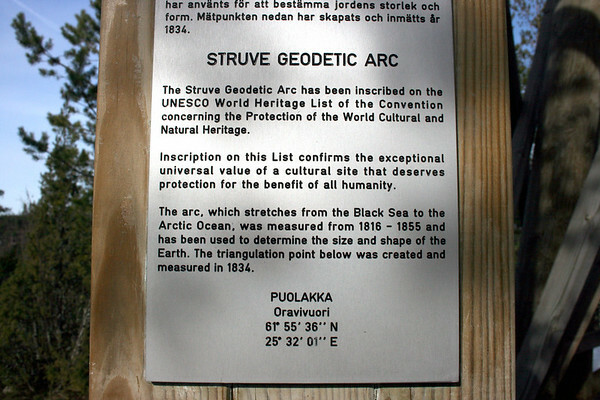 The Struve Geodetic Arc was added to the UNESCO World Heritage List in July 2005.